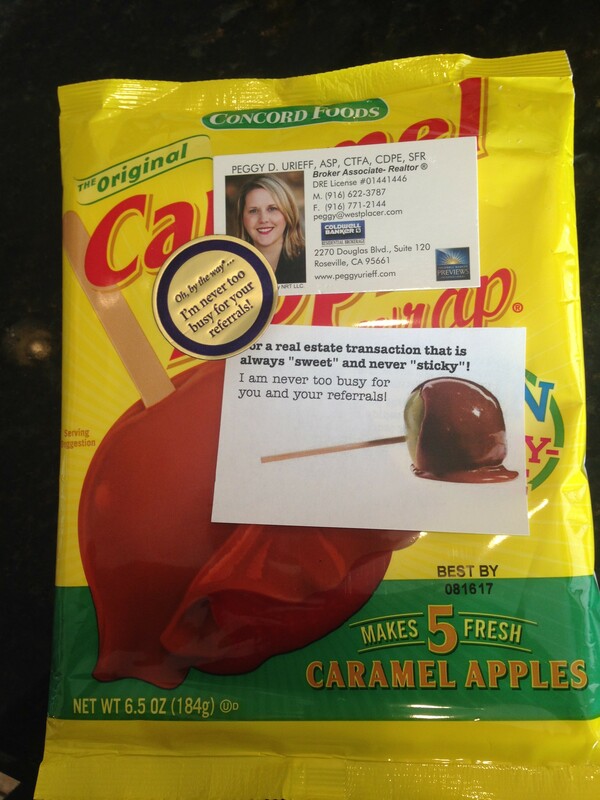 I love to give pop-by gifts that I would love to receive myself. 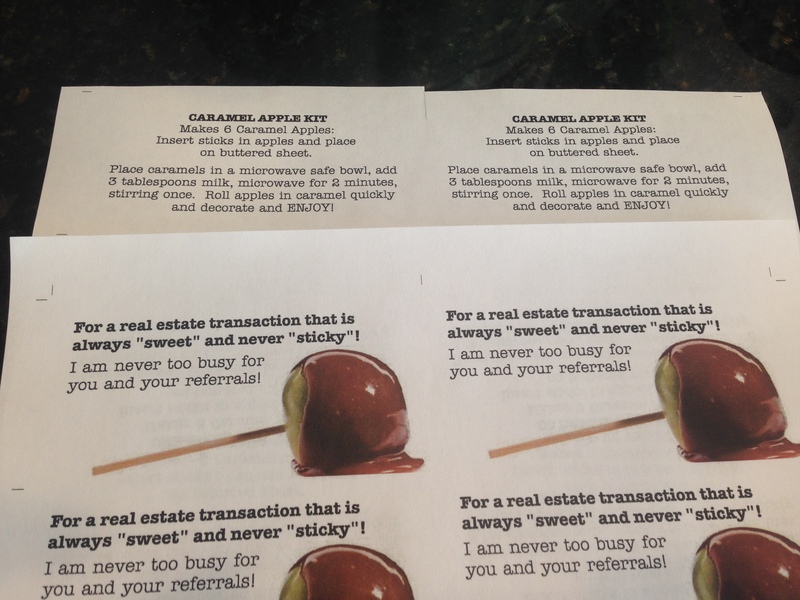 So I came up with a caramel apple making kit. Here is what you need: a quart-size mason jar, 2 cups of caramels (I bought mine bulk from a bin at Winco), 6 popsicle sticks, bottle of sprinkles, ribbon, and some fabric. The total cost was $2.90 each… you could skip the sprinkles and get it down to $1.70 each, but everything is better with sprinkles. You could skip the mason jar and keep the sprinkles, then they would be $2.20 each. Here it is… simply adorable. 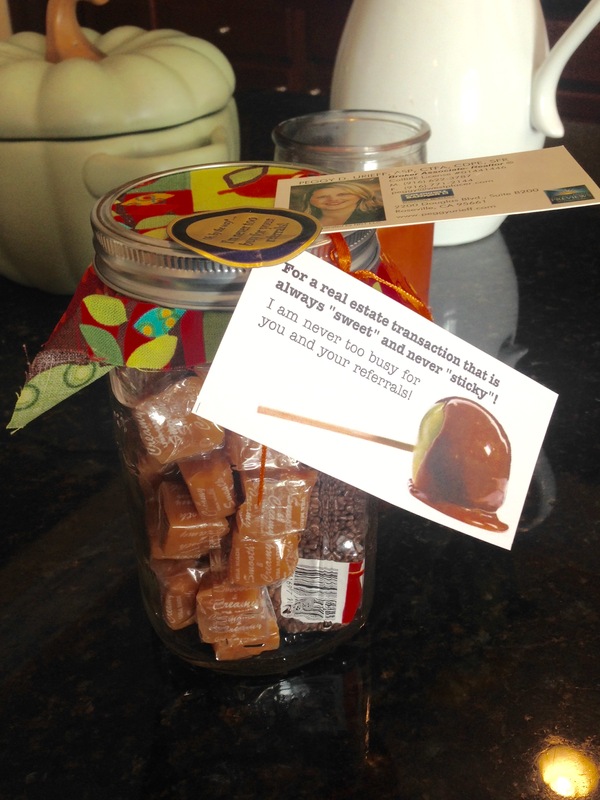 I have a big soft spot for mason jars… and I guess caramels as well. To make 24 caramel apple kits order one of each of the items below.